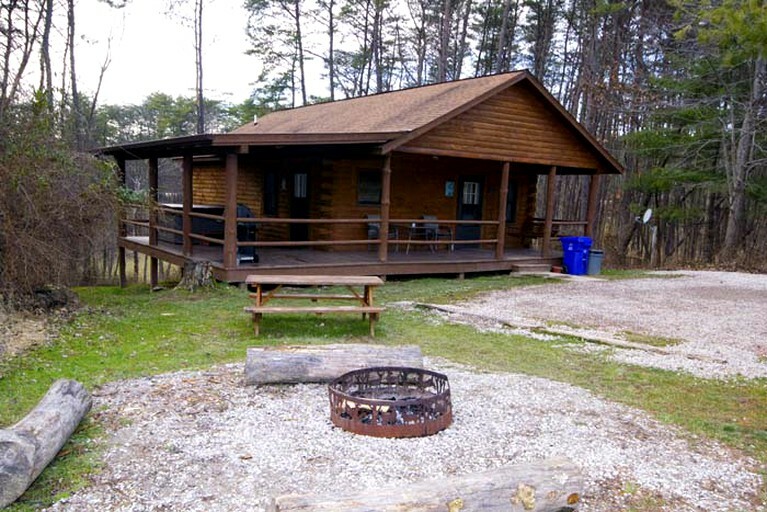 This spacious and secluded cabin near Bridle Trails is ideal for a group horseback riding or hiking trip in Logan, Ohio. 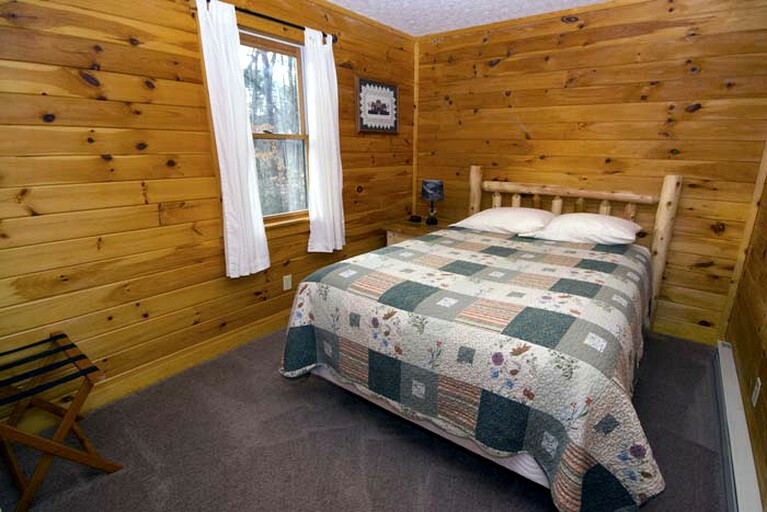 With three lovely bedrooms and two bathrooms, this cabin in the woods comfortably accommodates up to six guests. 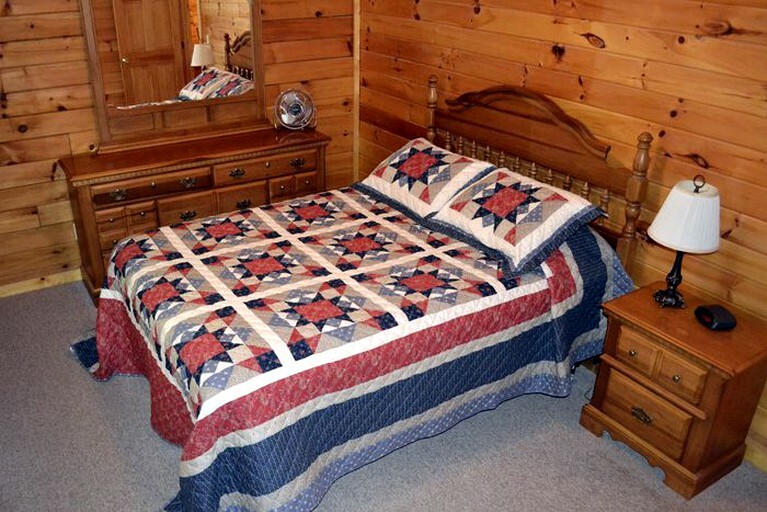 The rustic master bedroom on the main floor features a queen-size bed and a private bathroom. 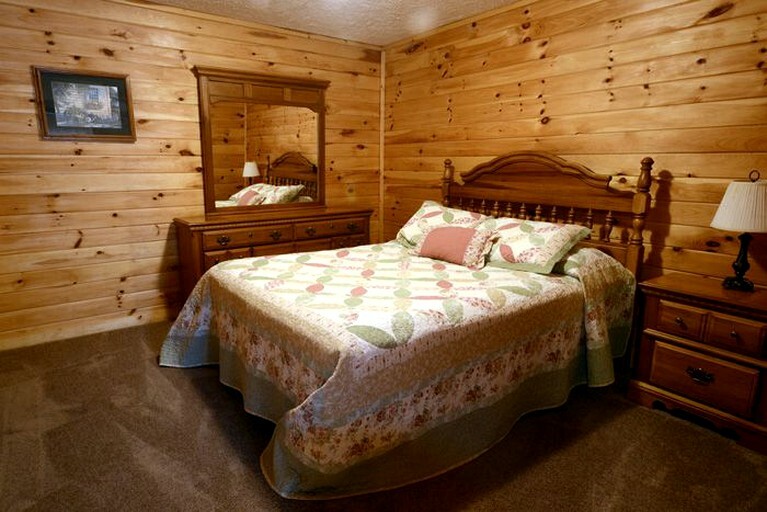 The other two bedrooms are located on the lower level and both feature a queen-size bed and an elegant wood dresser with a matching nightstand. 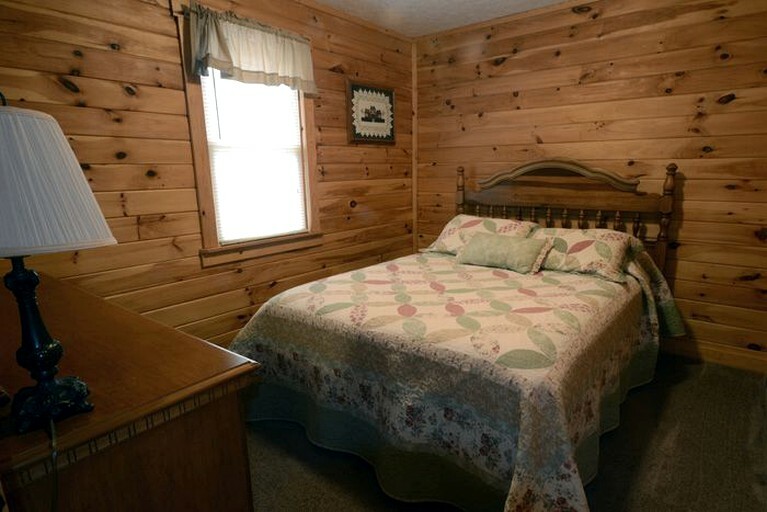 In addition to the three bedrooms, there is also a log futon on the lower level and second bathroom. All linens and towels are provided. Guests can enjoy their stay in comfort year-round with central air conditioning and heating, plus a seasonal gas fireplace. 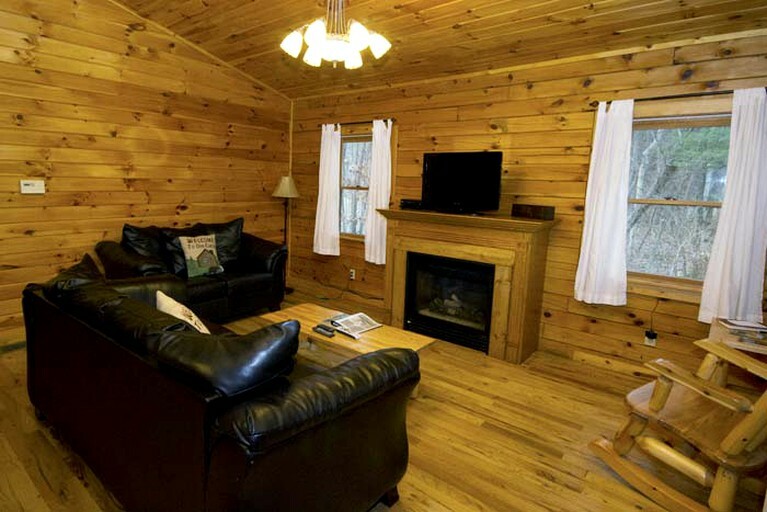 The living room has comfortable leather sofas with refreshing views of the surrounding forest. 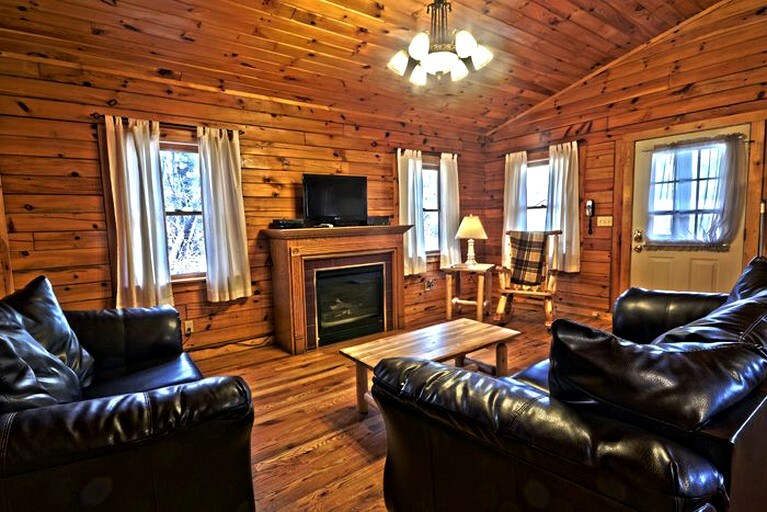 Guests can kick back and watch the HD TV with Netflix and over 200 channels, or simply relax by the crackling fire. 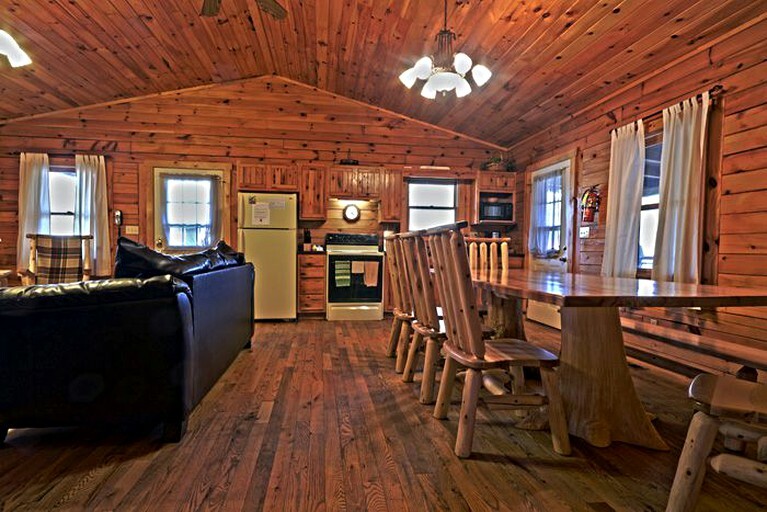 The fully-equipped kitchen features a stove, an oven, and a fridge. For convenience, there is also a microwave, a coffeemaker, and a toaster. As an additional cooking option, guests can use the outdoor gas grill. 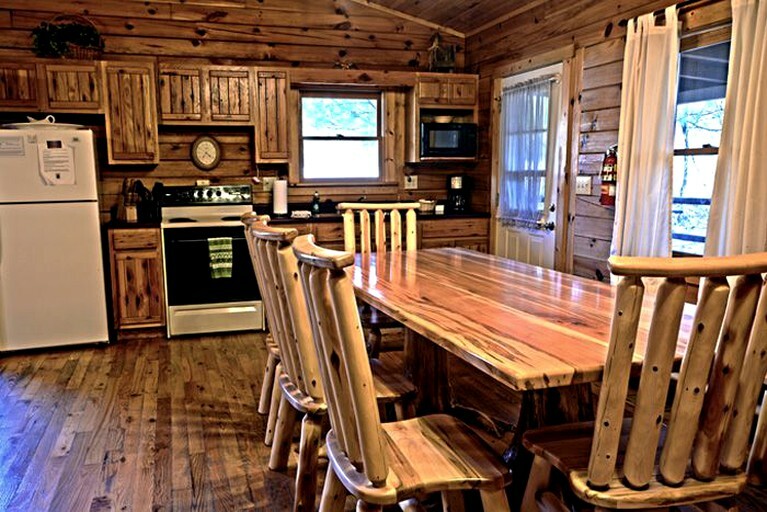 For indoor seating, there is a beautiful eight-foot solid maple dining table with seating for eight. If guests prefer to enjoy their meals in the open air, there is also a table and some chairs outside on the covered wrap-around porch. Free Wi-Fi is offered at each accommodation, as well as cloud Wi-Fi around the property. 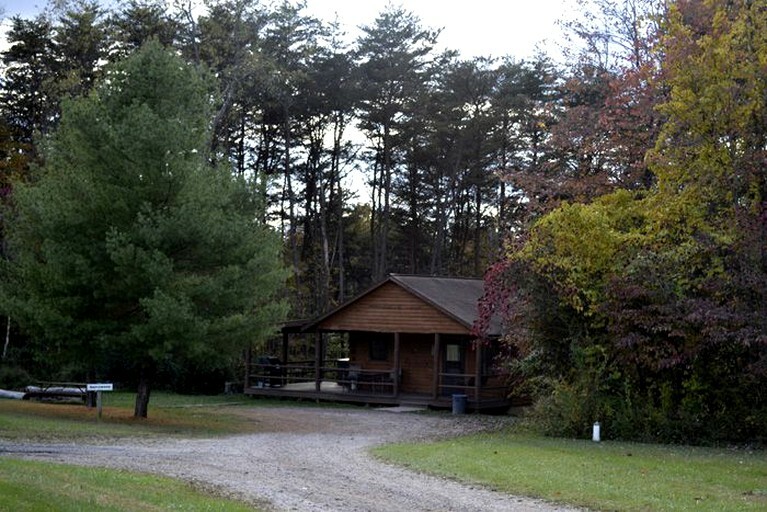 There is plenty of parking available at every cabin. 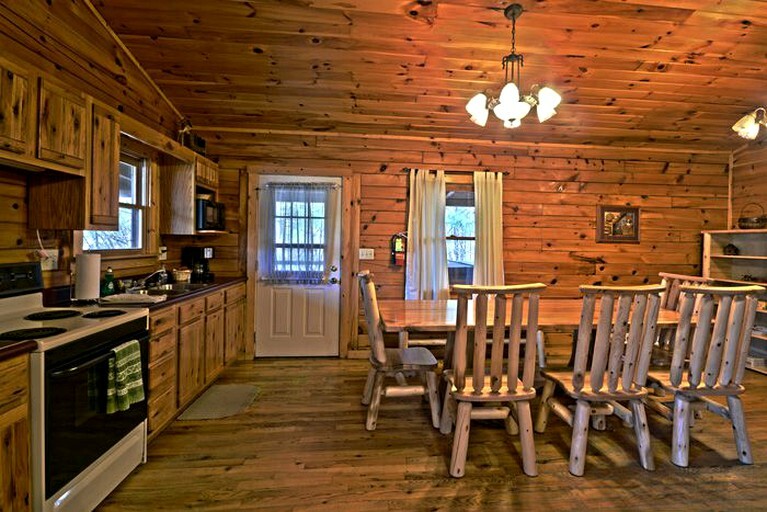 Cell service may be spotty, but there are phones in every cabin with free unlimited long distance. 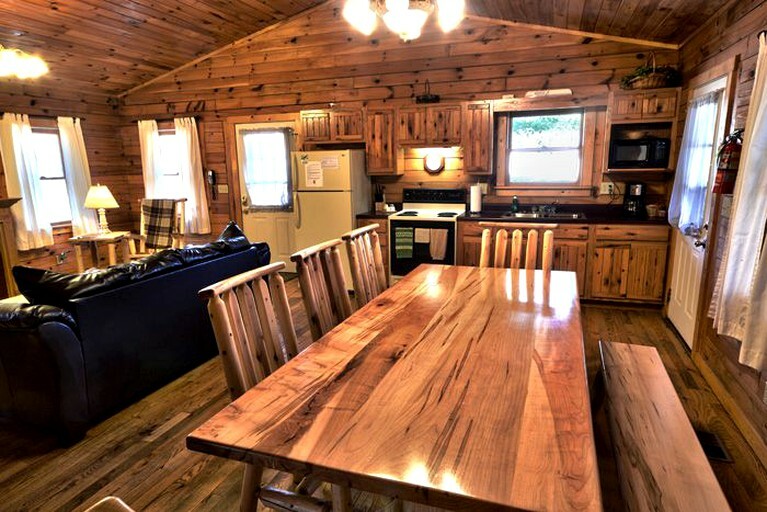 All of the cabins have their own fire pit and gas grill, as well as a flat-screen HD TV with HD DirecTV and a DVD player for guests to enjoy. 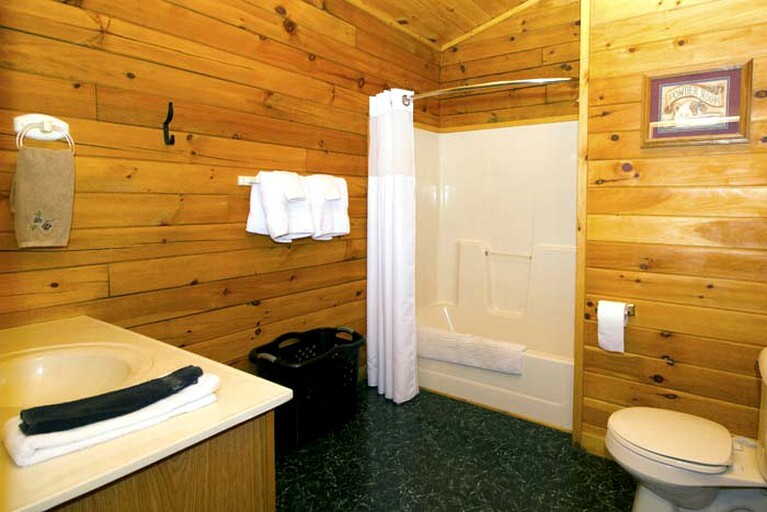 Two of the lodges have their own washer and dryer and all other accommodations have access to the property's guest services building, which offers a washer and dryer free of charge. Guests services also offer extra cabin supplies, emergency kits, seasonal items, a collection of entertainment and informational resources, and miscellaneous items. Guests can hire a guide for rock climbing, rappelling, or an eco tour. 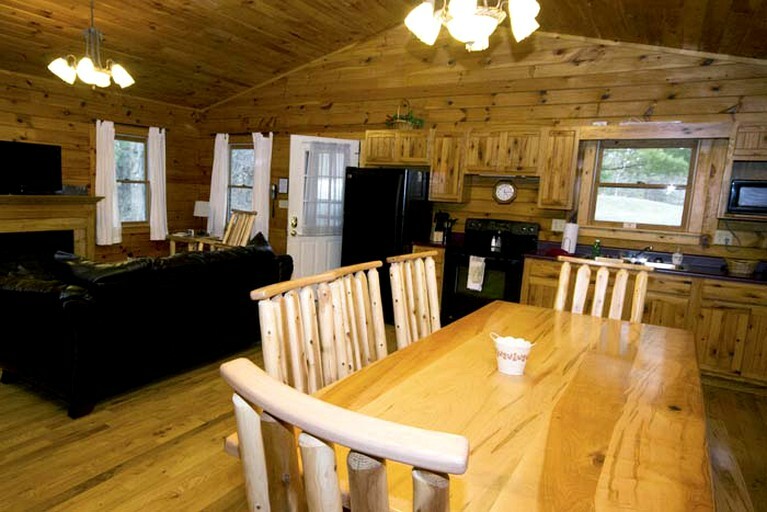 Activities abound at this perfectly located retreat. 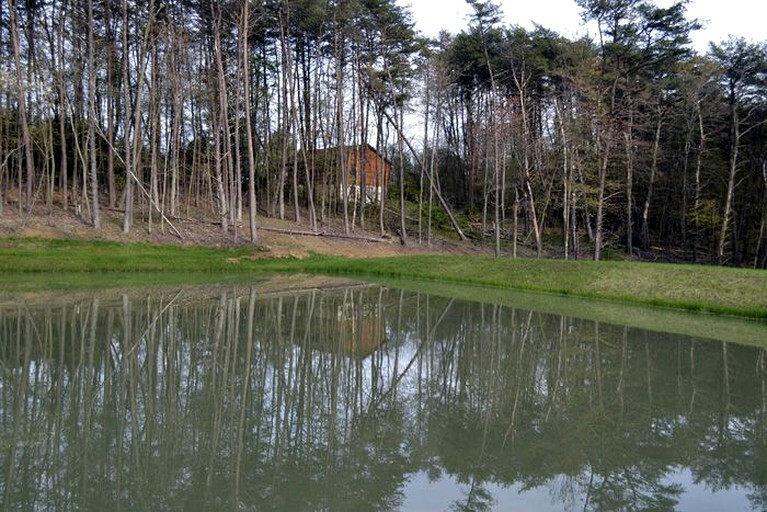 Guests can take advantage of the on-site pond for catch-and-release fishing with no fishing license required. The area is prime for hiking at any of the nearby parks, many of which are also ideal for rock climbing. Guests need only step out the front door to find impressive wildlife viewing and great opportunities for photography. There are two tasty restaurants very close to the property for a meal out. A short trip into Logan offers a plethora of activity such as shopping, antiquing, golfing, horseback riding, canoeing, and more. Surrounded by infinite beauty, guests are encouraged to take a stroll around the property or a back road scenic drive. Guests can visit all of these attractions, or simply enjoy a relaxing evening by the crackling campfire while roasting smores and making memories to last a lifetime. This property is pet-friendly with advanced authorization. There is a fee for visitors of $20 per day per person. In some cases, cabin guests may be permitted to arrive two hours earlier or depart two hours later for a fee. 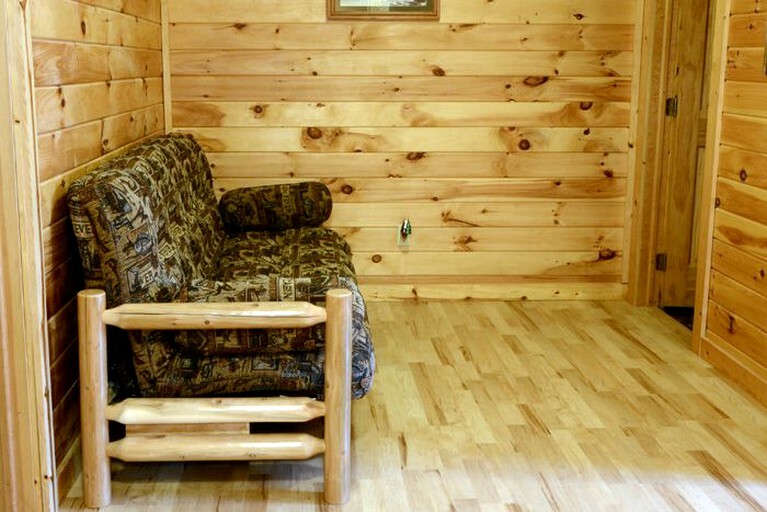 Guests are asked to keep the cabin clean and leave furniture in its original location. Used towels may be placed in the hamper. All trash must be bagged and put outside of the cabin or in the property's dumpster. There is a required refundable security deposit of 50% of the total rental fee or a credit card. 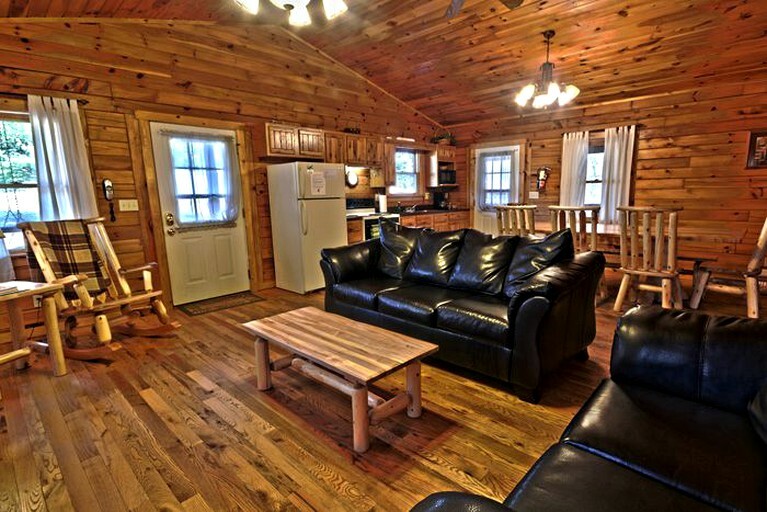 Guests must be at least 21 years old to rent any cabin and at least 25 years old to rent any lodge. 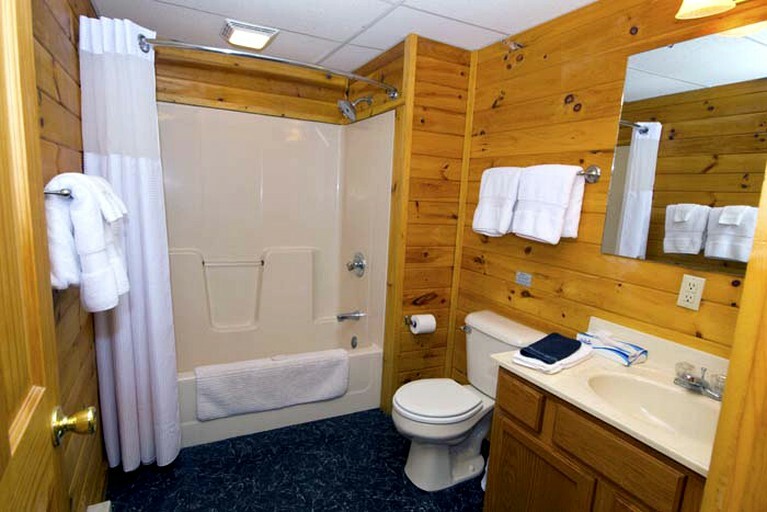 There is no smoking in the cabins or the hot tubs. In the case of smoking, there may be an additional $500 cleaning fee.